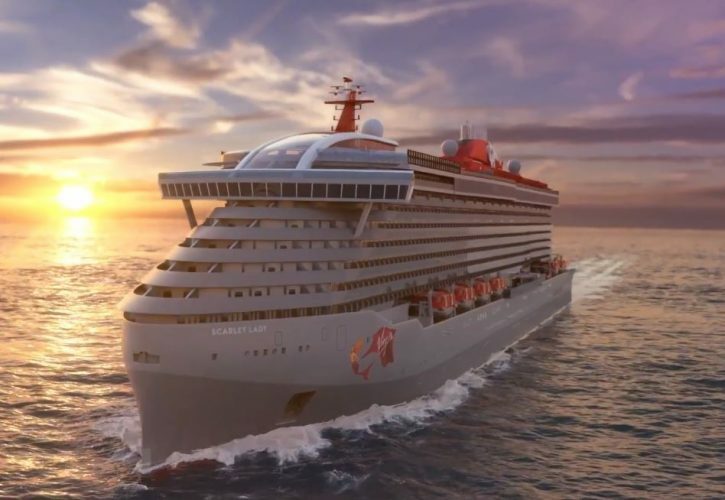 Virgin Voyages has again released a shiny new rendering video of Scarlet Lady, the first Virgin cruise ship which will arrive in 2020. There’s nothing better than taking a sneak peek at new spaces of how the ship will look once completed. Just days ago we posted about another stunning video of Scarlet Lady right here. 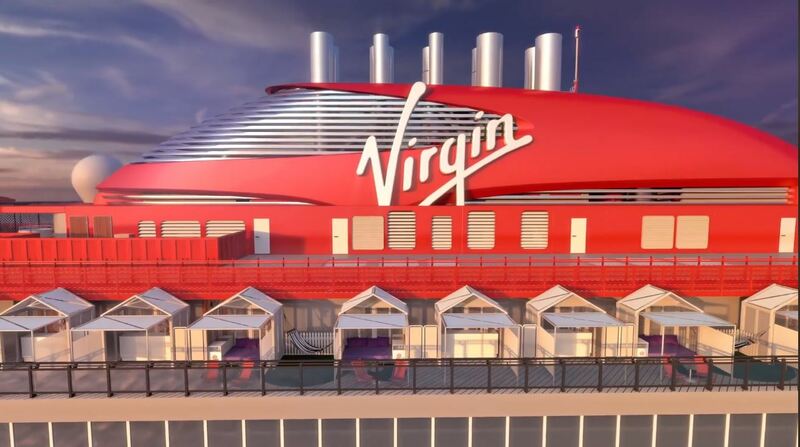 The cruise line which is based in Florida continues to tease with new images and videos of the very first Virgin cruise ship. She’s currently under construction by Fincantieri at the Genoa shipyard in Italy. Let’s get to the video then! In this new one, the cruise line showcases some of the open decks on Scarlet Lady. The footage pans around the upper decks and includes the aft space named The Athletic Club which is a space where sailors can keep fit. The fitness topic continues with areas to workout including boxing bags and a small ring. There are also places to relax all around. One of the most interesting areas featured are the covered loungers just under the ship funnel including hammocks. We don’t know everything about the upcoming vessel yet but Virgin Voyages keeps teasing with new releases so do keep a look out for these. Scarlet Lady will be 110,000 gross tons once completed and will spend her time sailing out of Miami on week-long Caribbean cruises. The ship will be for adults only and bring a new cruising experience to the industry. Scarlet Lady is one of the most anticipated new cruise ships coming but we’ll have to wait until 2020. A second sister ship will arrive in 2021 and is also being constructed at the Genoa shipyard.